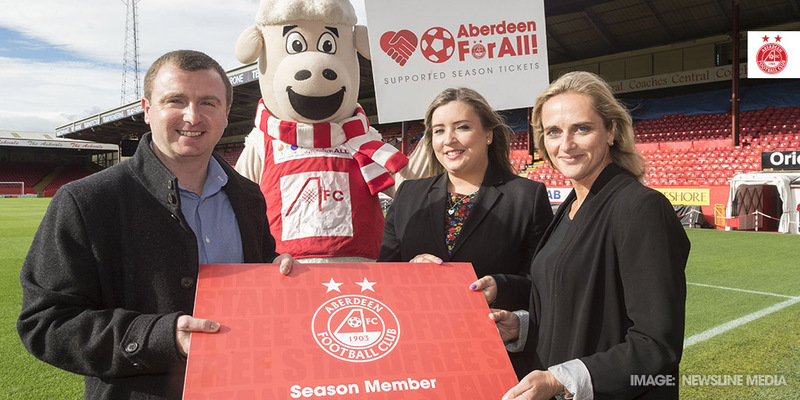 Gillian King, Tendeka’s VP – Europe, Africa, Russia & CIS, presented CLAN and AFC’s partner charity Aberdeen FC Community Trust (AFCCT) with the season tickets at Pittodrie last week. Gillian said: “We are proud to be supporting Aberdeen FC Community Trust and CLAN as part of Aberdeen Football Club’s Aberdeen For All initiative, whereby supporting those in our local community in a way which encourages social inclusion. More than 500 season tickets have been issued for the 2018/19 campaign. Supporters can donate online at afc.co.uk/eTickets and selecting the #AberdeenForAll tab or by calling the Pittodrie Ticket Office on 01224 631903.